Jkcyno blog gathered more clarifying fact that it was false and wish to correct that. According to a Catholic priest in Nnewi Diocese, the above picture of my bishop being circulated on traditional attire was taken decades ago and has nothing at all to do with Ozo title now or then. In our diocese Nnewi, we normally observe cultural day during which priests are encouraged to put on traditional attires. It was just a cultural day celebration and nothing more to it.. 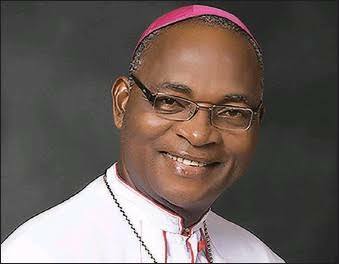 Previous Catholic Bishop of Nnewi takes Ozo chieftaincy title.